Code à la Mode | SF Bay Area based Creative, Marketing & Strategy Consulting specializing in HTML email coding. Clients want it all and we’re here to try and make that happen. Sometimes that means live text or a bullet-proof button on top of their hero image that can still be a link (which also happens to be a fluid/responsive template). This was one our recent requests and we worked to make it happen. 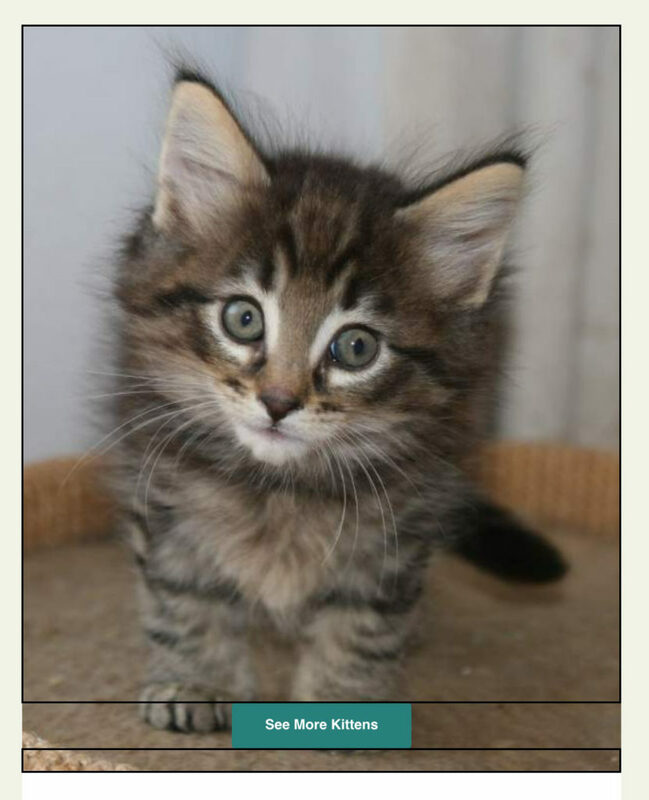 For today’s purposes we’ll use a cute kitten as our creative design. The next step is overlaying the content needed on the background image. In this sample I used a bullet proof button. This is a good time to note, getting too complex can cause problems. Elements overlaid on the background image may not change size proportionally with the background image. The button used in this example will not change size at all. What parts of the design could be covered by elements such as text or a button? 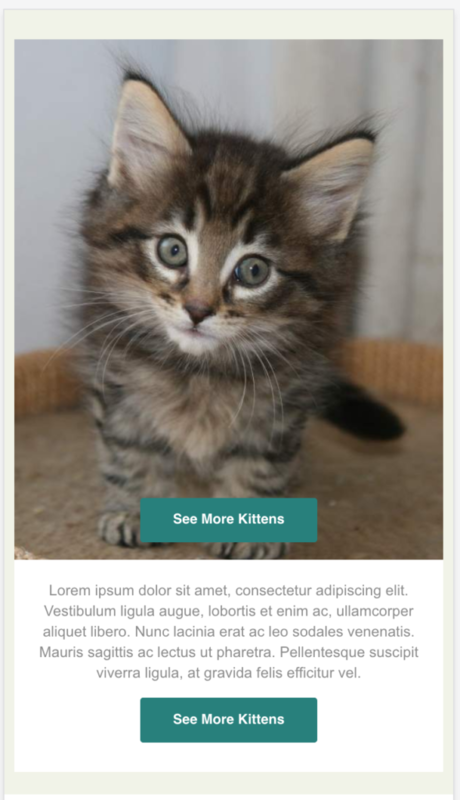 What design elements are critical to the email? Leave wiggle room around your critical elements. From here create transparent PNGs for the surrounding space. In this example I used a PNG above and below the button as outlined in the image below. Linking these PNGs will create the affect of a clickable background image. When creating the background image, I made it 30px taller than I anticipated using in design/code. This will allow some flexibility in height should the overlaid elements not resize proportionally to the size of the background design. Do you have any workarounds for challenging client requests or tricks in your email code? We’d love to hear from other perspectives. Subject Line:  Happy New Year, Amy! I was trying to decide if a collage of the “products viewed” would feel intrusive? A lot of people value their privacy and don’t like to know that retailers are keeping tabs on that information. On the flip-side, it might remind someone of products they were interested in but didn’t purchase, encouraging them to revisit them? What are your thoughts? Cool or creepy? What other info would you like to see in the yearly summary? Other than sales and shipping deals, what are you doing to go above and beyond for your customers this holiday season? Build your relationship and subscriber base by showing them you care. What can you offer that your competitors aren’t? Here are a few retailers that added value to their holiday campaigns. Starbucks shared their holiday playlist. I would like to say that it was free, but unfortunately it required a Spotify account. It’s still a fun and unique way to spread some holiday cheer and set the tone for your brand. Although it wasn’t free, you could still view the song list — allowing you to hunt down the songs elsewhere. 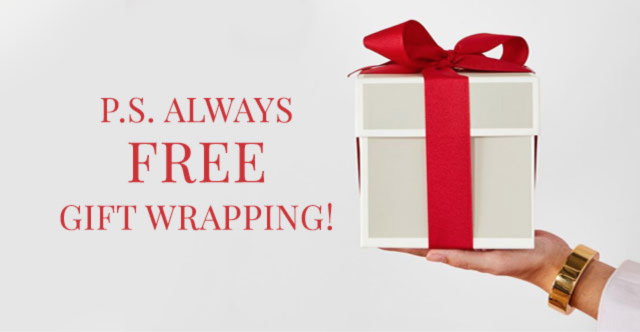 Mark and Graham reminded subscribers that all orders come with free gift wrapping. Sometimes it’s the small things. Other retailers might charge $5 and up for gift wrapping. That might be enough to sway me to make a purchase for my out-of-town relatives. 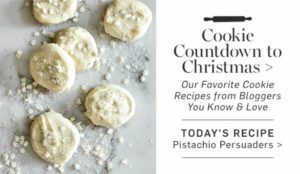 Williams-Sonoma sent emails containing recipes as part of their “Cookie Countdown to Christmas” promotion. What a fun and easy way to keep people interested! 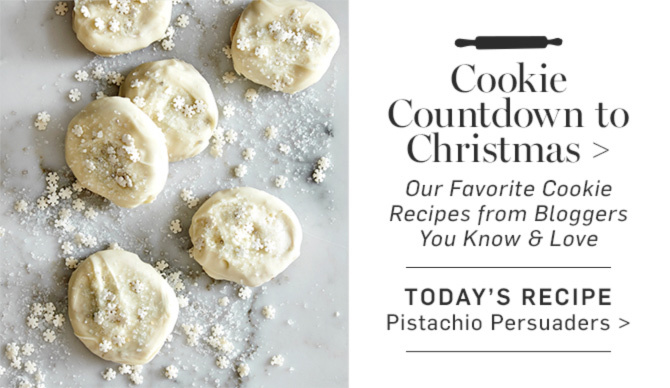 I am personally always looking for new Christmas cookies to test, so you can be sure I was consistently scrolling to see what each day offered. Subject Line: Here’s to your home: 20% off expertly-crafted furniture + decor! West Elm provided various tips to make your holiday merry. The link sends you to their blog where you can find everything from recipes and free download-ables to decorating tips and gift guides. There was so much good content in there! I wish the email message had been updated regularly to reflect the most recent post. I feel like a lot of people might have missed out by not clicking on the generic text. 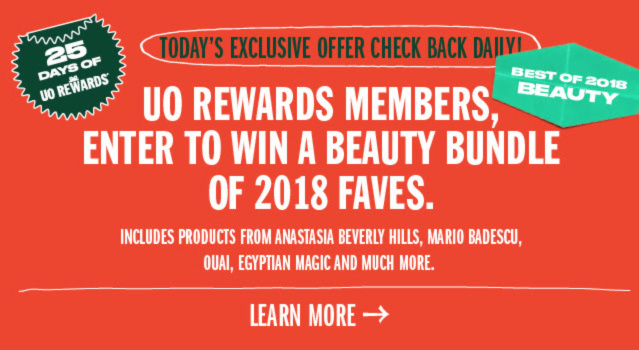 Urban Outfitters offered 25 days of rewards. They included giveaways such as cameras, concert tickets, a beauty bundle and a PlayStation 4. To enter: download the app, create an account and sign up for (free) UO Rewards. It’s a lengthy process if you don’t already have the app or an account, but the rewards might be worth it to you. Next holiday season, don’t forget to spread a little cheer and make yourself stand out. It doesn’t have to cost you anything — it can be as simple as a free download or recipe. It will show your appreciation, keep your subscribers engaged and may even help grow your list. Happy Holidays! Just when I think I know everything that’s possible with email, something new gets thrown into the mix! 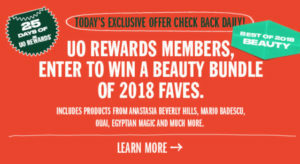 Ulta surprised me when I clicked on an image of a gift (to “unwrap” my savings), expecting it to open a web browser. Instead, it swapped the image of the present, revealing my deal within the email! From what I can deduct, they were able to pull this off using the company LiveClicker. It definitely threw me for a loop. I love the instant gratification of seeing my reward right away and the clutter-free lack of a pop-up. I hope to see this more in emails! Ulta also did a great job enticing me to click on the gift by animating it. Not to mention it’s packed with custom relevant content: my name in multiple locations (including a headline with fancy font), rewards balance, membership number and local store information. Nicely done! Starbucks sent out this email informing subscribers which drinks are most popular based on location demographic. I was personally intrigued to know how tastes varied across the country. It’s a fun and interesting concept that could be applied to other types of retailers. While it was the content that drove my interest in this email, some elements of the design are nice as well. Starbucks narrows their focus on popular drinks among college students. To keep with the casual college vibe, they use photography that resembles something you’d see on Instagram, rather than in a studio. The pictures are also taped to the email adding to the theme, interest and color. Staggering the photos gives it nice flow and balance. Overall, I found this content interesting to read. Subject Line: Amy, vote for your favorite Mac & Cheese! We’ve seen it before: emails that refresh the content each time you visit. Mostly it’s been used to count down the time until a sale ends. Well, Panera has come up with an innovative way to use live email updates. They ask subscribers to vote for their favorite Mac & Cheese creation, with the email displaying the live results! What a cool way to get customers up-to-date information that’s also interactive. In this case, it was also a fun way to let customers know that new fall “Soups and Mac” have arrived. The live results aren’t the only thing Panera is doing right in this email. 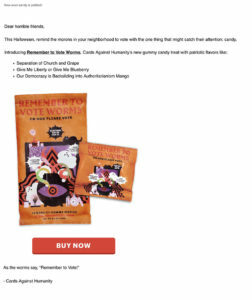 They also animated the hero to grab my attention, used my name in the subject line and email to make it feel personal, and made the design mobile friendly. Nicely done! I could see this strategy being used for other types of retailers. For instance, Gymboree recently had a vote-for-our-next-toddler-model contest. Wouldn’t it have been cool to see which child was “in the lead” in the email? I could also see a clothing retailer having shoppers vote on their favorite fall outfit. What about having subscribers vote what the next holiday “deal of the day” should be? The possibilities are endless! Are you trying to create awareness of, or drive traffic to your online catalog? There’s an email for that! Sure, you can throw a graphic in your header or footer, but if that’s not cutting it for you, go for gusto with an animated hero! What better way to grab someone’s attention?! Here are three retailers that did just that. Michaels did a good job placing their message above the fold. They also included images of leaves which continue throughout the design, tying it all together nicely. However, it’s missing a call-to-action and the animation begins without mention of the catalog. If the viewer doesn’t take the time to watch the entire gif, they might miss the objective entirely. Our next email has a solution for this exact issue. Subject Line: 20% Off Sitewide + Over 100 NEW Arrivals Starting at $29! Mark and Graham placed their headline “View the New Online Fall Catalog” and CTA above the animation. This way, wherever you start watching the gif, you’ll know what it’s about and will always have a place to click-through. If I were to change something, I would remove the photo that’s next to the headline, allowing the title to take less space, moving everything up. The use of the picture and horizontal line also make it feel like 2 separate messages – I would like them to feel better integrated. 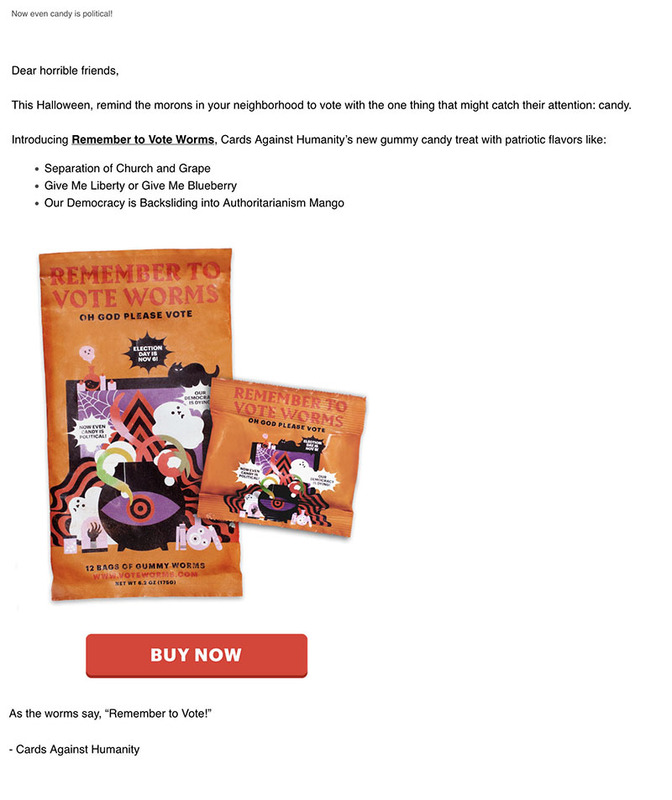 Subject Line: Your new Weekly Ad is here. I saved the best for last. One noticeable difference that Target implemented: instead of flipping through the Weekly Ad, they animate the cover. I LOVE this! It brings the cover to life, making it fun and drawing your attention. You know they had to plan ahead to achieve this, and it pays off! They also fit their headline and call-to-action next to the animation, above the fold. I wouldn’t change a thing. Here are a few others they’ve done in the recent past. Times are changing and to stay on top, so must we. Clothing subscriptions like Stitch Fix are taking over by popular demand. It changes the way we shop. Rather than taking the time to put together all the elements of an outfit, that work is done for you and sent to your doorstep. While aerie may not be a blind subscription, they are dipping their toe into the water by offering the option to Shop the Look, rather than individual items. It makes shopping quicker and nearly effortless. And when they say “Shop the Look,” man do they mean it – everything from head to toe, accessories and what’s underneath! When you click on the look, you are taken to a page (mobile) or pop-up (computer) with all of the items. From there you can uncheck the products you don’t want and select your sizes & colors all in one spot. I could see this being taken a step further by having shoppers create an account, specifying their favorite colors, styles and size. That way the looks can be sorted by relevancy and sizes & colors pre-filled based on each user’s preferences. Subject Line: All new! For simply amazing you. 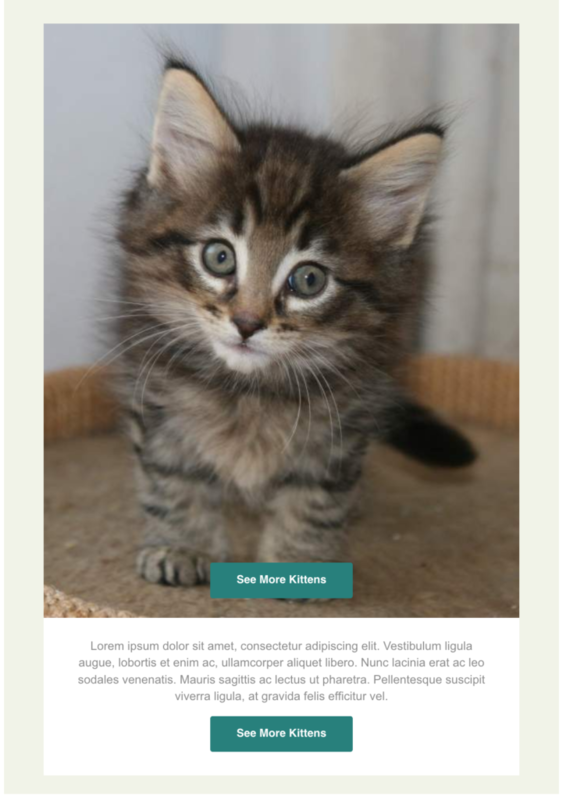 Unfortunately, the landing page is #winning here more than the email. While the email has the call-to-action “SHOP NEW LOOKS WE LOVE,” I feel that they missed the opportunity to make this feature sing! It’s hidden below the fold, below a link to Shop New Arrivals AND under a sale headline. This email lacks focus. I look forward to seeing aerie highlight this new way to shop in future emails! 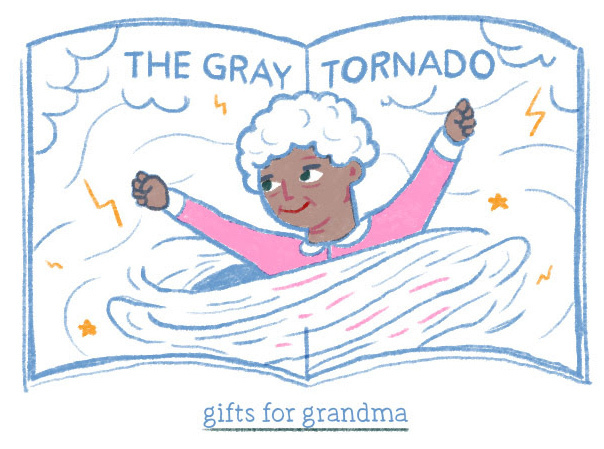 Did your Mother’s Day email fall short this year? Help add life to your message with use of authenticity, originality and humor. Check out the emails that made my list this year. Subject Line: Newsflash: It’s Mother’s Day. Get your cool mom a cool gift. This email animates a phone conversation between a mother and daughter. It not only grabs your attention with the animation, but also makes it fun by adding some humor when the mom asks for Slipknot tank for Mother’s Day. It’s smart that they added in the typing […] graphic to the animation to allow time for reading while also making it feel more genuine. I also love how they manipulated the keyboard and word-suggestion area to call attention to the sale. Subject Line: You Got It From Your Mama! Aerie sent out an email asking their models what they got from their mothers. The design features loving quotes and pictures of the moms and daughters together. What makes this one extra special though, is that all of the women are wearing aerie swimsuits and (as is the aerie way) are shown in untouched photography. It’s refreshing to see women of all ages and body types together, having fun and confidence in their natural forms. Subject Line: Isn’t Mom the best? Anthropologie sent out a series of emails highlighting their female staff with their kids. It’s a different angle to feature the employee as the mom. The photography is really what brings these emails to life. They are shot outside of a studio and look very authentic — Moms hugging and tickling their kids and playing on the beach. It just warms my heart. The script fonts, shadows and ripped edges add to the natural playfulness. Finally, this email from UncommonGoods caught my eye. It defines Moms as superheroes and lets you choose which comic best fits your mom’s style. The unique hand drawn covers portray different super-abilities that match shopping categories. For example: “Dr. 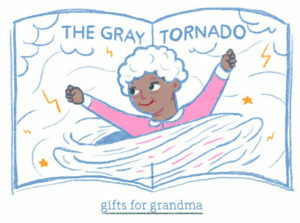 Brainiac” leads to geek gifts, “Mother of Gardens” goes to garden gifts and (my favorite) “The Gray Tornado” features gifts for grandma. The theme overall is original and fun.